Jones Sports Company has crafted iconic single strap carry bags for the game of golf since its founding in 1971. 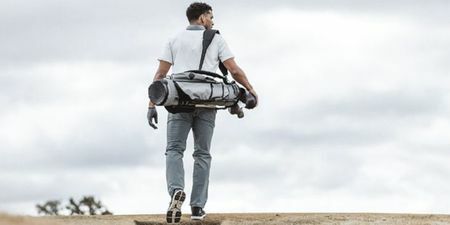 The Portland, OR brand has long sought to simplify the golf bag, ridding it of frivolous design and unnecessary clutter, to create a bag that players truly enjoy carrying. Jones is dedicated to recreating vintage flair and capturing nostalgia, all the while paying tribute to the legacy of the game by utilizing pure and traditional designs.